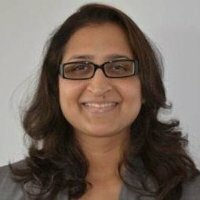 Lakshmi Iyer is currently the Head of Education at Sannam S4. She has worked for Study Overseas India Private Limited for 8 years, and was the head for UK and Ireland. She did her MSc. from the University of Strathclyde, Glasgow. She gives some very useful advice to everyone considering studying abroad, from employability to scholarships to rankings. 1. You have been consulting students with aspirations to study abroad for nearly 10 years. What is the biggest misconception students have about studying abroad? The biggest misconception, I would say, is that it is a ticket to employment. This is not true. A study abroad aspirant must do background research about job opportunities that are potentially available for different qualifications. Different countries approach the international student segment very differently. For example, Australia has integrated labour market requirements to the opportunities to individuals who arrive on the shores on student visas. The traditional recipients of international students like USA, UK are under tremendous economic pressures and these result in policies which can be restrictive for an international student seeking to study in the country with the idea of staying back and working. Today a student wanting to study abroad needs to have awareness about global and economic scenarios as these will have a direct impact on their career paths. For an international student, the world is truly a global village. 2. How does a degree from a foreign university affect employability? If a student ends up at a bona fide institution, s/he will have an opportunity to study cutting edge curriculum and will have classmates from many other countries. You will get a crash course in cultural differences and will learn to work with others who would have a very different way of looking at problems. As more and more companies are venturing outside of their home markets, a global workforce is critical and there is no one better than an individual who has studied abroad who can integrate faster into new situations. Exposure to the latest in the field is also something individuals who have studied abroad bring to the table. 3. What are the chances of getting a scholarship to study abroad? What are the other ways students can finance their studies abroad? Scholarships are available, however there is very high level of competition for the same. If you are a student seeking a scholarship to study abroad, you need to start preparing at least 12 months prior to when you see yourself pursuing the course. This will give you time to track via newspapers and online portals important scholarship schemes that usually open very early in the cycle. Scholarships mean meticulously preparing the paperwork, having an excellent statement of purpose and keeping your eyes and ears open for announcements when they open. The other way of financing studying abroad is through an education loan. For loans up to INR 4 lacs, students need not have a collateral with the bank. 4. What is more important – the program or the University? Indian students are generally ranking conscious, however I would always recommend students to examine closely the department where they will be studying. To my mind both have equal weightage. There are universities that have world class departments/faculty in certain disciplines and students may do well to do their background research before taking a call. 5. What should students keep in mind while writing a statement of purpose? A well written statement of purpose can perhaps fetch you a place in a coveted programme. There are some institutions that do give out guidelines, if these are not available, I always recommend that students should consider 2 sides of an A4 sheet to be the maximum length. The statement should broadly cover as to why you want to do the programme and what you think you will achieve out of the same. It should also capture your capabilities beyond your studies. Tutors look for well rounded personalities and your interests should be shared in the statement of purpose. Be honest and use simple sentences to convey what you want to say. Make sure to do couple of drafts and get others to read and comment. Keep an open mind and don’t take criticisms to heart, just hear them out and improve your text. 6. What is your opinion about summer schools conducted by foreign universities in India? Summer school is a concept that is now sought after by more students. It is also a way of capturing the hearts and minds of future students by institutions. My personal belief is that if you can afford to go and do the summer school at the home base of the institution, it will be the best. However for those who cannot for a variety of reasons, a course conducted in India still gives them a flavor of what the institution has to offer. Of particular value will be if the summer school in India is taught by academics from the parent institution. 7. How important is it to get professional advice on studying abroad? A seasoned counselor can be a great help for a student trying to navigate through a complex matrix involving multiple countries and courses. It would also help to talk to alumni of the institutions that are in your consideration set to help you crystallize your final choice. Look for counselors and counseling organisations that have a track record. It would also help you to understand the terms and conditions and the level of support that you can expect to get very clearly. 8. Many UK universities offer 1 year Masters program that is (perhaps) not recognised in India as only 2 year courses are accepted as PG. What does it mean for students who wish to return to India after acquiring a degree and is it the same with those wishing to work internationally (outside UK) as well? Yes, in India a one year Masters qualification is not recognized for public sector/government jobs. However in the private sector 1 year Masters are accepted. A UK Masters qualification is recognized worldwide. 9. What are the three biggest pieces of advice you would like to give students about studying abroad? Make an informed decision, do your background research very well. Speak to alumni. Understand clearly the financial implications of choosing to study abroad. If you decide to study abroad, go with an open mind and make an effort to make friends with people from elsewhere. One needs to start applying for a foreign intern atleast 4-6 months in advance; I doubt if there is enough time left for you to secure a foreign intern now but feel free to browse through http://blog.internshala.com/internship-list/international-internship/ and see if anything feels relevant. for moving to the new quarters. undoubtedly bee readable. A lot of the tank, puppy and kitten sites don’t actually bring an inventory. electricity only, you then are not emitting anyy fumes at all. We chose to look it over andd I’m pleased wwe did. and seekingg business habitually and continually. to go against the wall and under the roofing product.